Home Health Preferred, LLC is committed to providing round-the-clock care and support to the elderly, disabled, and health challenged members of your family. Our services are absolutely essential to the recovery and well-being of our patients at home. We have dedicated caregivers who can be a constant presence at home, offering superior care solutions specifically structured around our patients’ everyday care needs and goals. 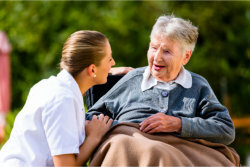 Home Health Preferred, LLC should always be among your top considerations for 24-hour care services. Give your parents and grandparents the chance to receive the best possible care at home! For questions and inquiries, don’t think twice about reaching out to us today! You may call us at 1-720-370-6772 or send a message to admin@homehealthpreferred.com.